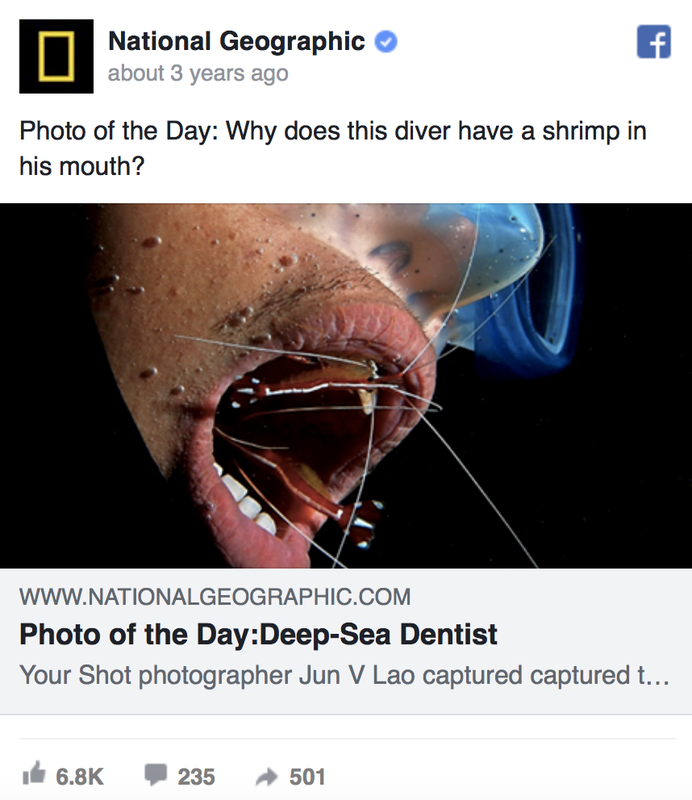 Diving with the elusive Dugong was the main reason I took the scuba instructor stint offered to me by PADI IDC Staff instructor Mark Walton which took us two months to finally get that exploration dive going. Busuanga Bay Lodge Divers was very busy daily we couldn't find the time but after a two month wait, we got to do our own charter to see 'The Dugong'. We did our own charter with BBL Divers, waking up at 0530am from Concepcion and arrived at the Dugong dive site around 0830am. 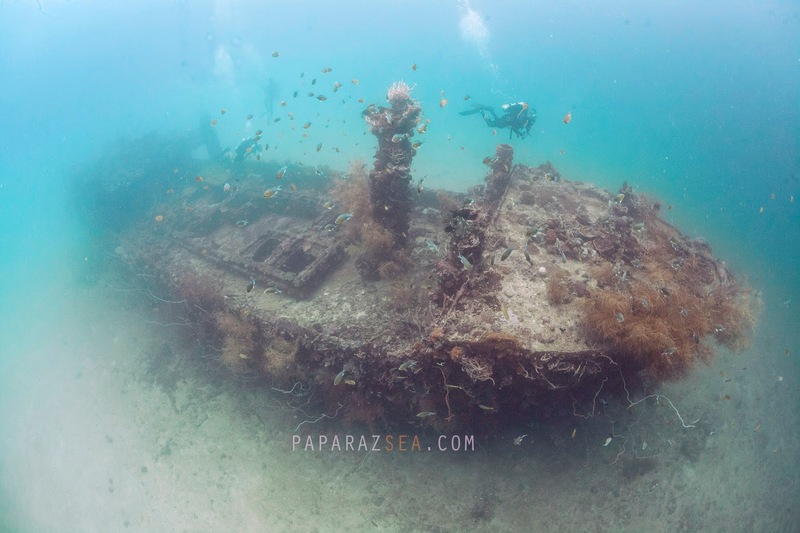 This was an exploratory dive which met smiles after our foray into diving with Dugongs. 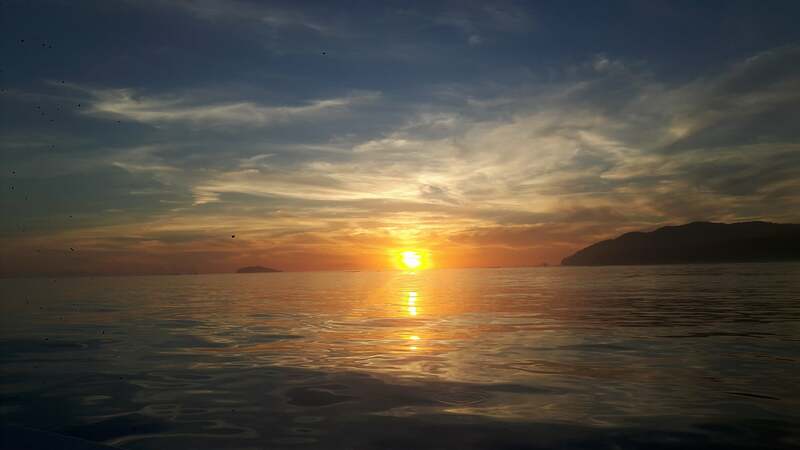 Since we came from the Concepcion area in Busuanga and was an exploratory dive (our first), we decided to leave at 530am, armed only with stories where the Dugongs were, four weeks of research from my end from various sources and gps coordinates which turned out to be false. Having our own speedboat helped, as it gave us time to visit nearby islands to ask around in the vast ocean of North Coron. 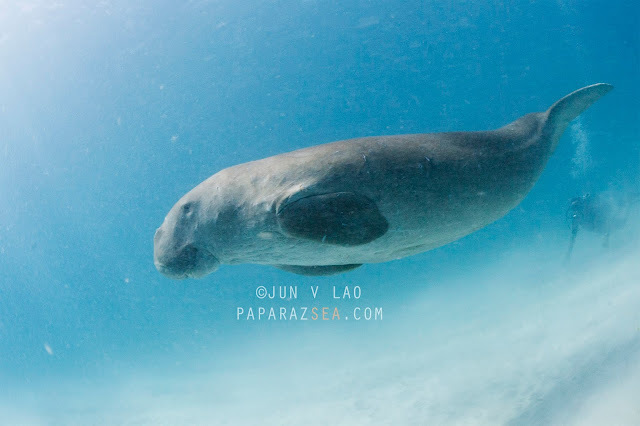 Dugongs are actually found in many parts of Palawan, but what we needed was a friendly one which we can document and having found Jhun Idongga, we found ourselves several hours later diving with Aban, a friendly Dugong who has been delighting dive tourists for a few years now. 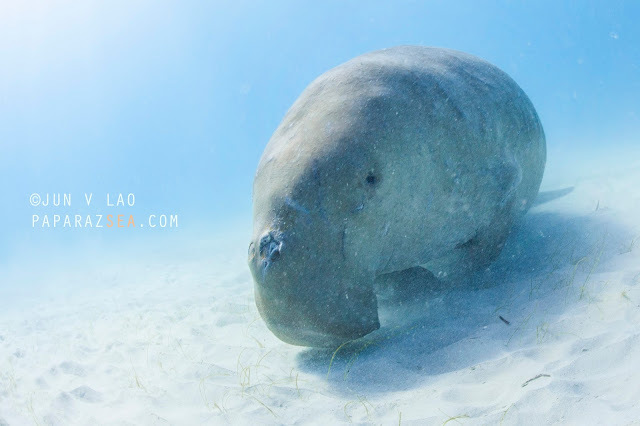 Aban the Dugong was definitely friendly...but once he chooses to catch a breath roughly after 7 minutes foraging, find yourself swimming hard following him, this was during our dive, he never went back to his original spot. 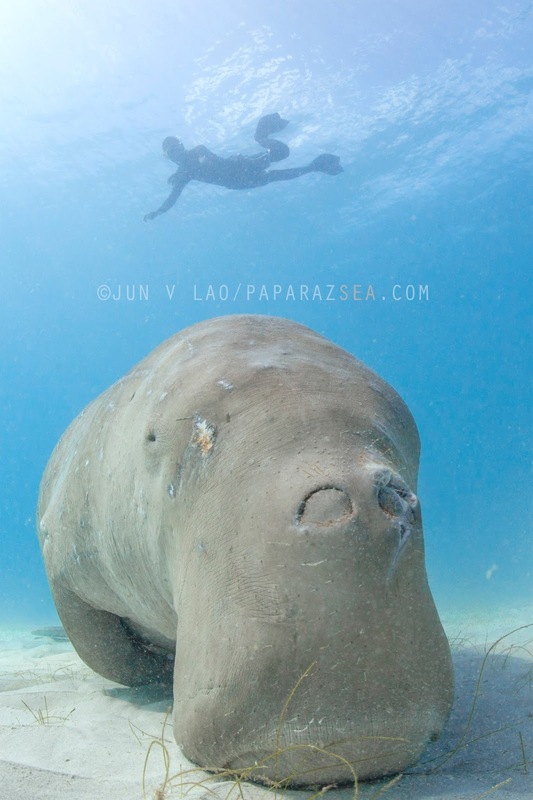 To answer your lingering questions, the Dugongs of Coron can be called urban legends, since you never see them in groups. 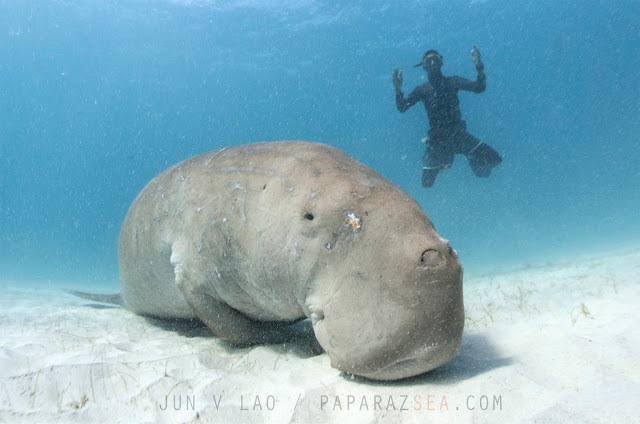 Because of the friendly nature of Aban the Dugong, you have the highest probability of seeing one, yes, he rolls solo. You can probably find your own in the wild, but that may take weeks, to find gold one must invest time and money. In water with Aban, it was a delightful but tiring experience. It was more or less a 7 minute cycle where he stays feeding a while then after 7 minutes goes up for air but never seemed to land on the same spot where he came from where we had to fin hard for several minutes to get back to him. Our dive lasted only 29 minutes, a minute shy with the maximum limit allowed by the Dugong police and while we were early and thought we were the only ones in the area, another boat from a korean operator decided to pop up. 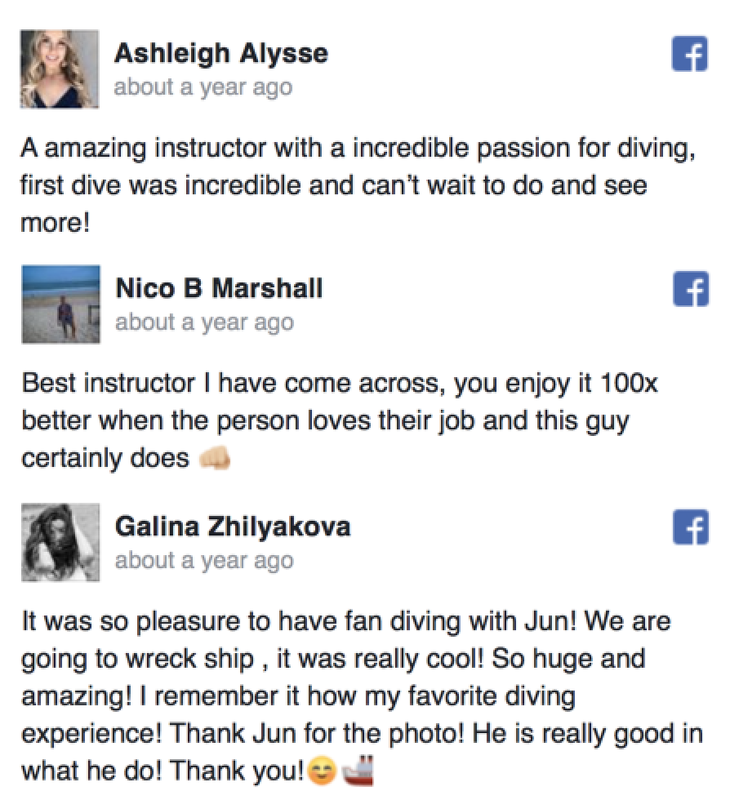 Since our base was in Concepcion, we headed back and found ourselves diving the Nanshin Maru wreck along Black Island, which was a nice end to our fun morning ocean sojourn. 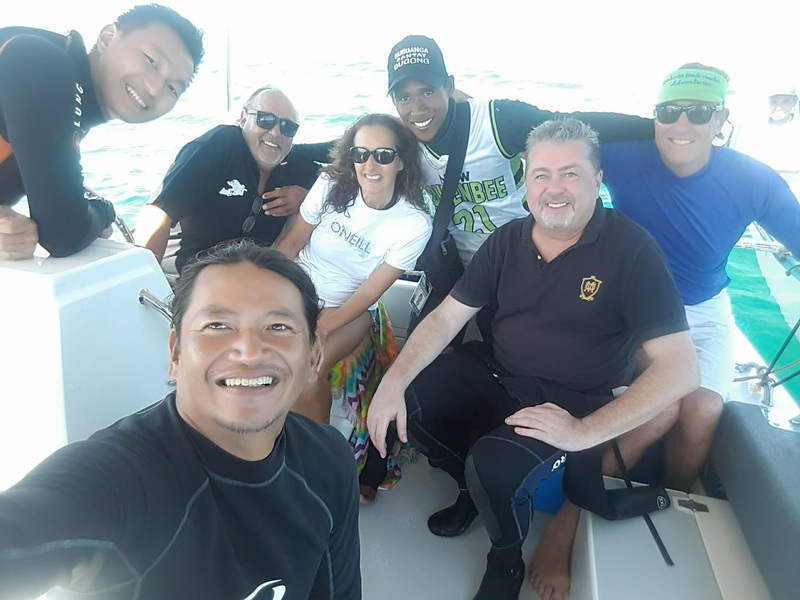 From Left to Right, Student Petrick, Mick Stefurack (Owner/Adventurer), Josie Caruso, Jhun Idongga (Dugong Spotter/Police), Tourist Dan and historian and tech guru Snake. 1. Winds in Coron can change from calm to rough in minutes. With rough seas, seeing the Dugong will be close to impossible. Finding the optimum time heading out there is tricky, so must book a few days to get the chance to see Aban, weather permitting. 2. Maximum time allowed is 30 minutes, too short for those starting ocean wildlife photography, plus it wont be there in one spot forever. Physical fitness is not a must but ideal for longer multiple encounters. 3. It's wildlife. Anything it perceives as not natural will get Aban swimming out fast away from you and you will loose the opportunity swimming alongside him. 4. 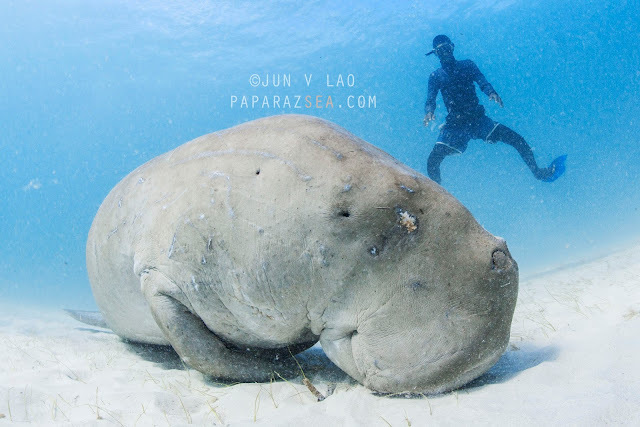 There is a designated buoy where boats should be parked, Aban the Dugong may apear several meters to a hundred meters away, why being physically fit is not required but is as shared will be a plus when you want a longer encounter. 5. With only one friendly Dugong, one must at all times exhibit caution, let it be the one to approach, never chase or ruin the chance of other divers or snorkelers seeing him next. 5. Videographers, conduct manual white balance at 2 meters, so clips wont have such a red tinge near the surface and will preserve the reds at 6 meters. 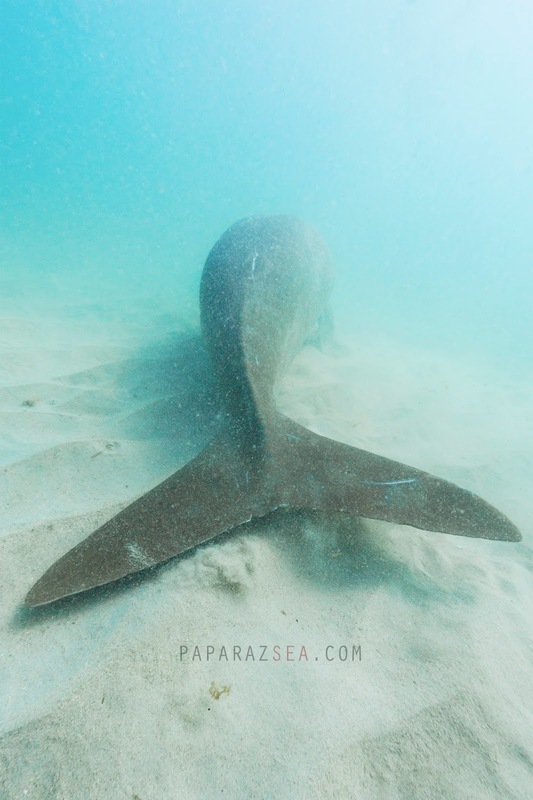 If diving with Dugong interests you, do contact us at paparazsea@gmail.com or call Jun Lao at +639159473888 and we can arrange a special trip just for you. Cheers guys.